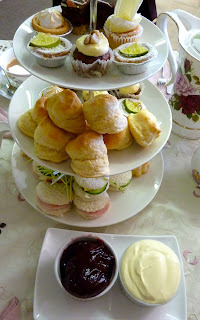 The High Tea Inspectors have tried many places offering high, morning and afternoon tea. As we only write positive reviews quite a few don't make our blog. However, High Tea at Sweet Country Abode in the industrial area of Midvale is quite outstanding. A booking in advance is required with a minimum of two people. On arriving I was hesitant as to what to expect but waiting for us inside was our beautifully laid table, gorgeous china, table cloth and cloth napkins, tasteful cutlery and flowers. Extra large teapots were served, our choice was the lovely English Breakfast tea. 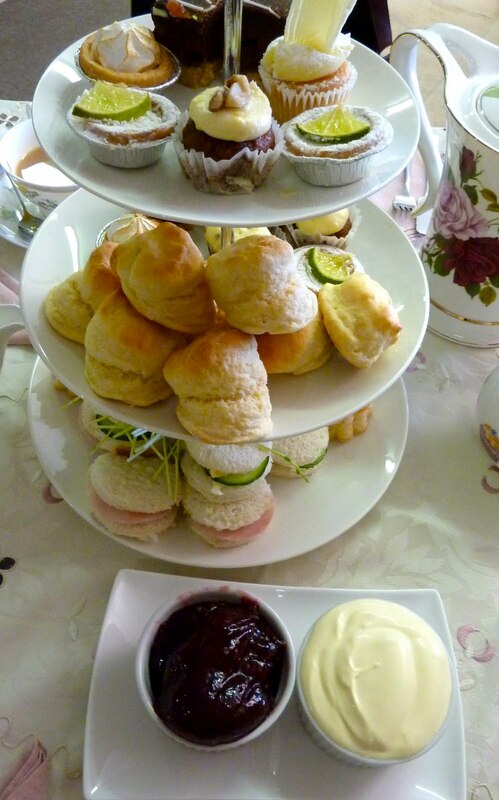 Then the three tiers of mini sandwiches, warm savouries, petite slices, cakes and warm scones with plenty of jam and cream. Not very often do we find that we cannot finish all that is offered but on this occasion we were all most content. Sweet Country Abode is tucked out of the way for most people but is worth the trip and outstanding value for money. I recommend you give this place a try. Mum gave it 12 out of 10, I say very well done.